White Hot Chocolate is the most creamy and sweet hot chocolate I have ever tasted. I love using almond milk in my hot chocolate, because it gives it a little bit of a nutty taste. It is so yummy. I love white chocolate just as much as I like milk chocolate. There is just something about it. This is my favorite holiday drink. I love using almond milk because it gives it a delicious nutty taste, and a creamy texture. The perfect drink for a cold snowy day. This recipe calls for almond milk, however, I know some people aren’t huge fans. That is just fine, because there are some delicious substitutes that would taste just as good. I love making this recipe with milk as well. I prefer using 2% or 1% milk. It is so delicious and creamy, and milk makes it that much more creamy. I however like the taste of the almond milk, with this recipe, and I’m not much of an almond milk drinker. 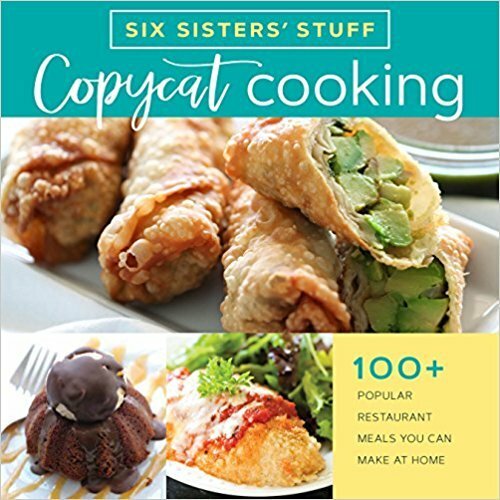 I also have made this recipe using water, and it was just as good. It didn’t have as much flavor, but it was still decent. You may want to add more cinnamon or vanilla to it. Egg Nog isn’t much of a substitute for this recipe, but I do love adding a splash of egg nog to this recipe. It adds the most delicious hint of holiday goodness. what could i top this hot chocolate with? Whip cream, Oreo's, or candy canes to garnish. In a large pot, add the almond milk, white chocolate chips, and vanilla. Stir until the chocolate chips are melted in. Do not bring to a boil, it will be too hot to drink, and create a weird texture from the burnt white chocolate chips. 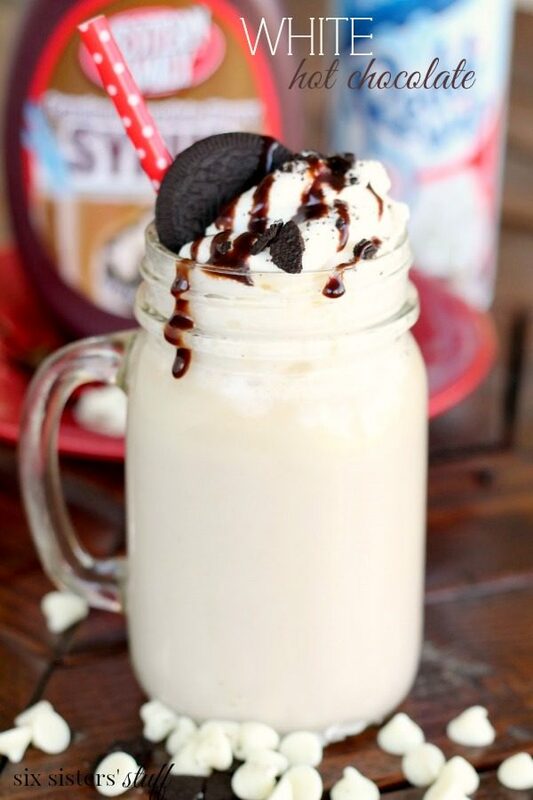 Pour in mugs, and top with whip cream and crushed Oreo's! Can I make this and keep it warm in a crock pot? It should be fine for an hour or two in the slow cooker on the "warm" setting. Be sure to stir every now and then.